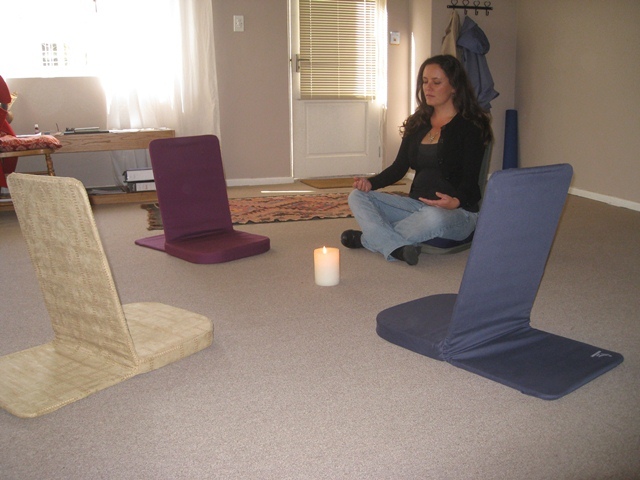 Zen Chair manufactures a fabulously comfortable backrest that is used on the floor by meditators, breathwork practitioners and anyone who spends a lot of time sitting on the floor. They are sought after by people participating in retreats and are to be seen in many retreat and meditation venues around the country. Each Zen Chair is made up of a steel frame that will last, quite possibly, for a lifetime. The frame is encased in a tight fitting, fabric cover which in turn, holds in it a cushion which forms the seat of the backrest. The covers are washable and replaceable. The Zen Chair is lightweight and weighs only 1400g . The Zen Cushion is a shaped cushion that is designed for use on the backrest section of the frame for extra comfort and is held in position by an elastic strip. Some users prefer the extra cushioning on the seat part of the Zen Chair and use the Zen Cushion in that way. Zen Carry Bag – this bag holds the folded Zen Chair and has space for course notes etc. It comfortably slings over your shoulder.